Unauthorized Immigrants drops to 11.1 Million in 2011 from a record high of 12 million in 2007. Mexican unauthorized immigrants lead the declines. 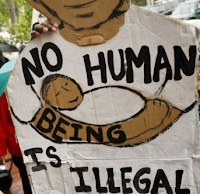 WASHINGTON D.C. -- There were 11.1 million unauthorized immigrants living in the U.S. in March 2011, unchanged from the previous two years and a continuation of the sharp decline in this population since its peak in 2007, according to estimates by the Pew Hispanic Center, a project of the Pew Research Center. The estimate for 2011 is not statistically different from totals for 2010 (11.2 million) or 2009 (11.1 million). The number of unauthorized immigrants peaked in 2007 at 12 million, and the decline since then has been the first significant decrease following two decades of growth. The falloff in the stock of unauthorized immigrants has been driven mainly by a decrease in the number of new immigrants from Mexico, the single largest source of U.S. migrants. As the Pew Hispanic Center reported earlier this year, net immigration from Mexico to the United States has stopped and possibly reversed through 2010. At its peak in 2000, about 770,000 immigrants arrived annually from Mexico; the majority arrived illegally. By 2010, the inflow had dropped to about 140,000 - a majority of whom arrived as legal immigrants, according to Pew Hispanic Center estimates. In addition, the number of Mexicans and their children who moved from the U.S. to Mexico between 2005 and 2010 roughly doubled from the number who had done so in the five-year period a decade before. These Pew Hispanic Center estimates use data mainly from the Current Population Survey (CPS), a monthly survey of about 55,000 households conducted jointly by the Bureau of Labor Statistics and the Census Bureau. It is best known as a source for monthly employment statistics. The March 2011 CPS data upon which the 2011 estimate is based were released in September 2011. 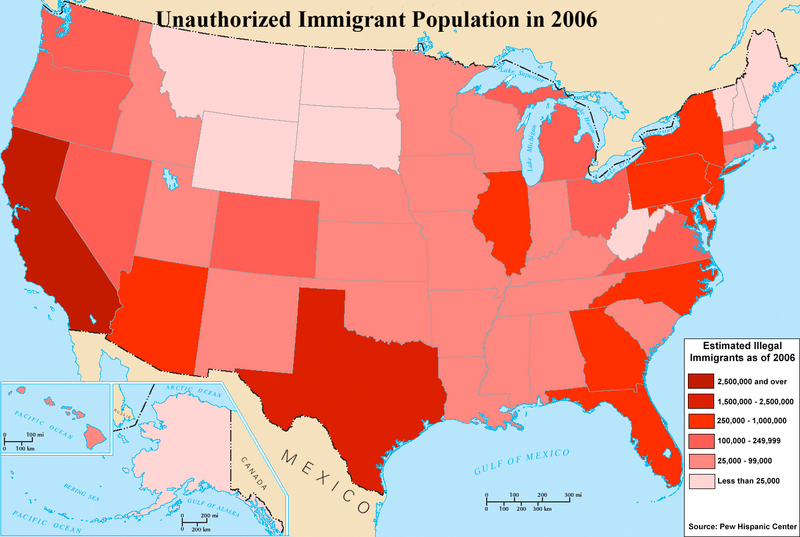 In early 2013, the Pew Hispanic Center plans to release an estimate of the 2012 U.S. unauthorized immigrant population. 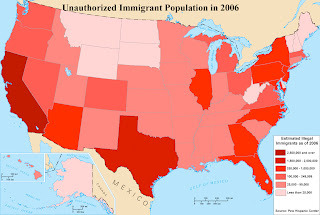 The analysis, "Unauthorized Immigrants: 11.1 Million in 2011," authored by Jeffrey Passel, senior demographer, and D'Vera Cohn, senior writer, is available at the Pew Hispanic Center's website, www.pewhispanic.org. The Pew Hispanic Center, a project of the Pew Research Center, is a nonpartisan, non-advocacy research organization based in Washington, D.C. and is funded by The Pew Charitable Trusts.